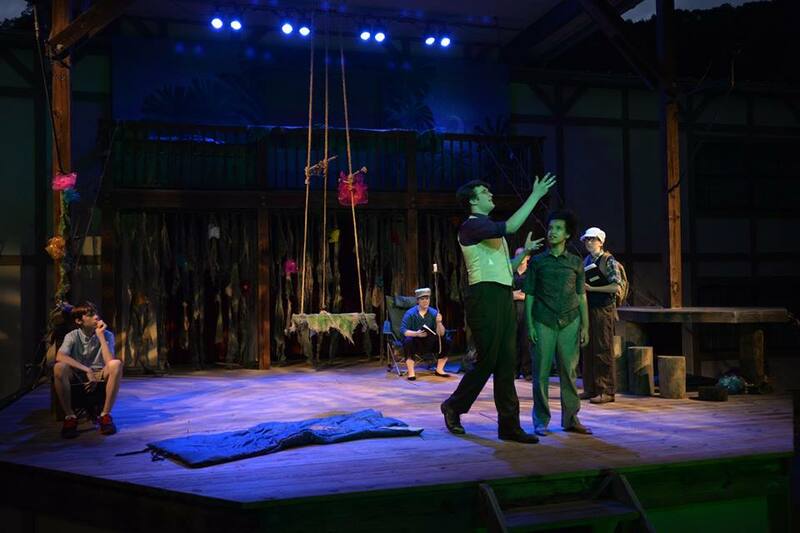 For its 8th season, Young Shakespeare, Austin Shakespeare’s teen company, will transform Richard Garriott de Cayeux’s outdoor Curtain Theater (7400 Coldwater Canyon Drive) for a “Steampunk” production of the romantic comedy Twelfth Night. Featuring auditioned actors performing Shakespeare’s beautiful poetry, Twelfth Night will run Thursdays through Sundays at 8 pm, June 16 – 26. Twelfth Night is the story of Viola, a young girl disguised as the boy servant Cesario, in the fantastic world of Illyria. Viola falls head over heels in love with her master, Duke Orsino, as he sends her to woo for him Olivia, the woman he loves. The story of mistaken identities, hilarious love triangles and joyous youth is also well-known for the silliest of meanies, Malvolio, who is tricked into wearing a distinctively unusual outfit to woo his mistress Olivia. Participating students, ranging in age from 13-19 years, come from throughout the Central Texas area, including Round Rock, Pflugerville, Austin, and Westlake, among other places. The young company is trained by professional directors and designers, with direction by Milton Zoth and teacher/actor Nancy Eyermann. Returning actors include Jack Frey, Gabrielle Lewis, Alley Koenig, Ben Rodrigue and Anastacia Weiss joined by newcomers: Ben Frey, Taylor Harrison, John Kilfoyle, Michelle Schreib, Cooper Ward and Rachel Wolff. Co-director, Nancy Eyermann holds an MFA from Temple University, a BFA from Texas State University, and is a certified Associate Teacher of Fitzmaurice Voicework. Nancy has worked as the voice coach for Austin Shakespeare’s productions for the past five seasons. Nancy has acted in over a dozen of Shakespeare’s plays. Roles with Austin Shakespeare include Princess of France in Love’s Labour’s Lost and Hermione in The Winter’s Tale. She co-directed last year’s Young Shakespeare production of A Midsummer Night’s Dream at The Curtain Theater. Co-director Milton Zoth recently moved to Austin from St. Louis where he served as the Artistic Director for St. Louis Actors’ Studio. Last January, he directed and produced the Neil Labute Festival, which had its New York premiere at 59E59 Theatre. He has previously served as an Associate Director for St. Louis Shakespeare. Milton holds an MFA in Directing from Webster Conservatory of Theatre Arts. Visit http://www.eventbrite.com/e/young-shakespeares-twelfth-night-tickets-24993498226 or call (512) 470-4505 for tickets. Early bird special through June 11.